For the past ten months I’ve been producing StudioBook; an intensive artist development programme from Mark Devereux Projects. 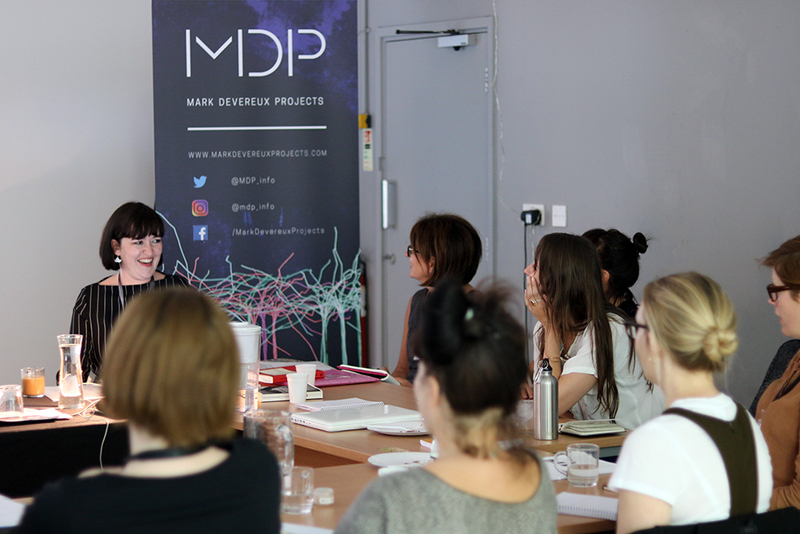 Focusing on providing tailored professional development for 12 early and mid career artists, StudioBook was centred around a two week programme at Old Granada Studios between Monday 17 – Friday 28 July 2017. The selected StudioBook artists are: Anna Columbine, Charlie Franklin, Clare Holdstock, Claire Tindale, Elizabeth Kwant, Jilly Morris, Lada Wilson, Libby Scarlett, Lucy May Schofield, Mandy Payne, Susan Gunn and Suzanne O’Haire. 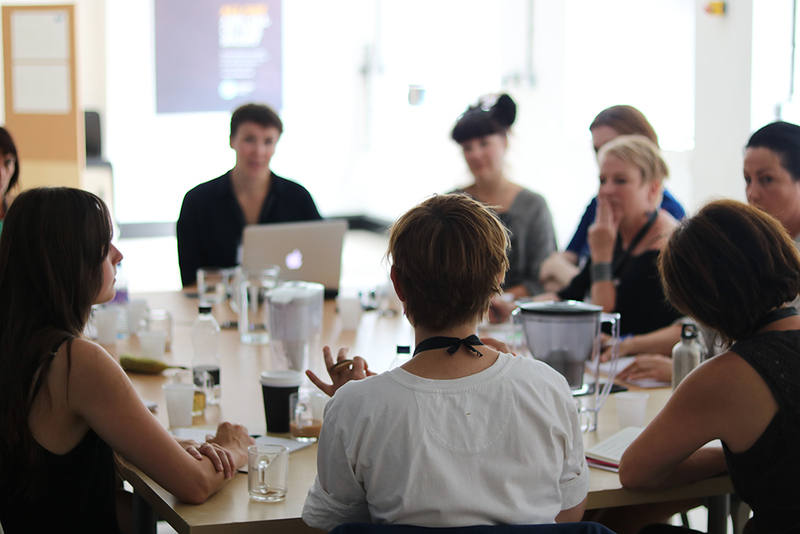 The fortnight featured talks, practical workshops and one-to-one advice sessions from leading arts professionals from the UK (full programme below). Our keynote speaker was from artist Mariele Neudecker who gave a public talk at Manchester Art Gallery. Laura Robertson, Freelance art critic and co-founder/editor of The Double Negative, leads a session on writing about your work. 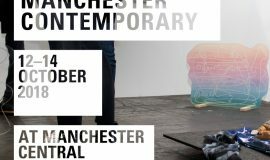 Following the fortnight, StudioBook artists will be applying for a new commission with University of Salford Art Collection. 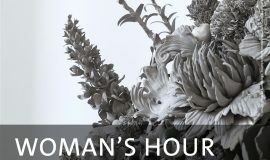 The selected artists will receive £2,000 to create new work to go into the university collection. A StudioBook group exhibition and public talk will be held in November to bring the project to a close. StudioBook is supported by Arts Council England, Allied London, a-n, Manchester Art Gallery, University of Salford, and the University of Salford Art Collection. 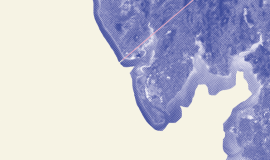 09:00 – 10:00: Artists arrive at Old Granda Studios. Morning refreshments. An introduction to the StudioBook programme, Old Granada Studios and Mark Devereux Projects, along with brief introductions by each artist. Each artist will give a short presentation about their recent practice to the speakers and their peers, followed by questions from attendees. 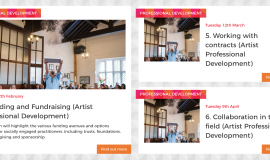 In this session artists will consider the varying presentation styles required for formal talks, in-conversation events and one-to-one conversations. By recognising the various approaches, and being encouraged to let your personality shine through, you will be given the skills and awareness of how to articulate your practice in the most relevant way. Each artist will have a one-to-one session with a speaker focused on their questions surrounding talking about their practice. Sessions will be booked in advance. 09:30 – 11:00: The right opportunity? How do artists identify and then follow up the right opportunities that will enact a step change in their practice? This session will discuss the practicalities of exhibiting with a long term focus on securing exhibitions at larger institutions. This session will focus on thinking about your target audiences and how you can get your work seen by the right people. You will be encouraged to think about who your audiences are, how they engage with your work and which are the right galleries, curators and networks to help support your practice. Each artist will have a one-to-one portfolio critique with one speaker. Sessions will be booked in advance. Whether selecting the right work for a group exhibition or producing a sculpture to show in a larger institution, awareness and sensitivity are important attributes required for displaying artwork. This practical session will consider what artists need to be aware of when approaching different contexts of exhibiting work. Good exhibition proposals are a key part of securing exhibitions. This session will provide a curatorial perspective on how to craft engaging proposals that clearly articulate your ideas with the goal of securing exhibitions. Each artist will have a one-to-one session with one speaker focused on their questions surrounding making applications and writing about their practice. Sessions will be booked in advance. This practical session will provide an introduction to how different artists approach writing about their work for different audiences, and how important it is to clearly communicate and contextualise your work in your own voice. A masterclass from our keynote speaker. A public talk from our keynote speaker. 09:30 – 11:00: What is public engagement and socially engaged practice? What does public engagement actually look like now and how are artists embedding this within their practice? This session will provide examples of innovative and meaningful artist-led projects that are thought provoking and reflect the times. Each artist will have a one-to-one session with one speaker focused on their questions surrounding public engagement and socially engaged practice. Sessions will be booked in advance. This session will provide participants with the chance to choose a masterclass in either photography or filmmaking. A full brief will be provided ahead of the session. Optional activities including exhibition and studio visits. Participants are welcome to opt out if they wish. 09:30 – 11:00: What does it mean to be represented? The session aims to clarify what representation is, how it can support artists and why it is not right for every artist. This session will go through practical techniques to create a pricing structure for your work. You will be encouraged to think about how to incorporate commission, overheads and your time into the final price of the work. Confidently managing your finances is an important part of supporting any creative practice. This introductory session will cover issues from your legal and tax obligations, to what your invoice needs to include and how to manage your freelance career. Each artist will have a one-to-one session with one speaker focused on their questions surrounding finances and budgets. Sessions will be booked in advance. Participants will be introduced to the brief and context of the special £2,000 StudioBook commission and acquisition with the University of Salford Art Collection, in which the selected work will be placed within the university’s permanent collection. Each artist will have a one-to-one session with one speaker focused on their questions surrounding the StudioBook commission. Sessions will be booked in advance. This session will discuss the varying models for commissioning artists, what commissioners look for and how to apply for future commissions. Considering both the public and private sectors, advice and information will be given on how to manage relationships with commissioners, what they expect, how to manage expectations and how you retain your artistic integrity. Once you’ve secured a commission, often the hard work really starts. This session will provide a practical insight on the logistics required when managing a commission, from project briefs to complying with relevant health and safety requirements. This session will provide an introduction to fundraising, covering potential funders and what to consider when researching new funding avenues for your project. A deeper insight into the practicalities of writing a funding bid focusing on what funders will look for in your application. Each artist will have a one-to-one session with one speaker focused on their questions surrounding funding and fundraising. Sessions will be booked in advance. A seminar for professional visual and applied artists seeking to practice professionally in a complex and competitive environment for contemporary visual arts. Designed to improve artists’ understanding and application of negotiation processes, the session covers how to sift through the range of opportunities on offer and tackle thorny issues including no and low budgets, unrealistic commission briefs and expectations and over optimistic time-scales, whilst pursuing an personal development plan. Once you’ve secured an exhibition, what are the best ways to develop an audience for your work and make sure it is promoted effectively? This session will share practical tips on how to communicate the stories behind your work and produce interesting digital content, images and information that will engage a diverse audience. A well crafted press release can cut through the dross and grab the attention of arts media professionals. This session looks at how you can master writing a press release that articulates your key messages. Each artist will have a one-to-one session with one speaker focused on their questions surrounding promotion, marketing and social media. Sessions will be booked in advance. What social media platforms do you currently use to promote your practice and why? This hands-on session will critically analyse how social media can support and enhance your practice and brand. 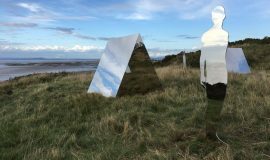 To close StudioBook fortnight, Mark Devereux Projects will facilitate a practical session leading the participating artists through a series of questions, exercises and tasks which aim to gradually bring forth your practice and career ambitions through 1, 3 and 5 year strategic plans.